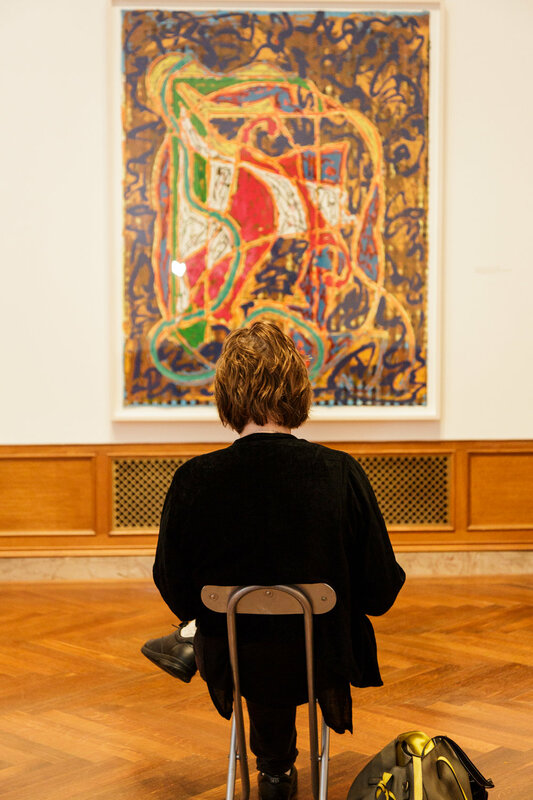 For over fifty years, Frank Stella (Phillips Academy Class of 1954) has created a significant body of abstract art comprised of paintings, reliefs, sculptures, drawings, and prints. 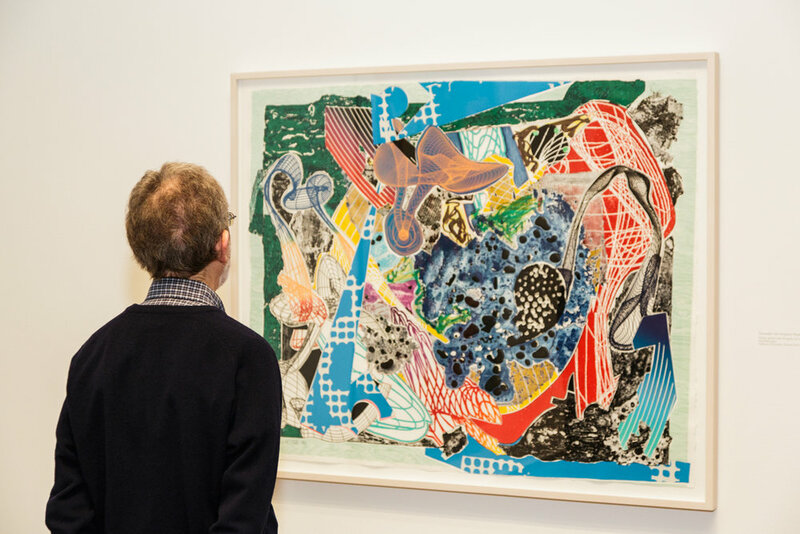 Frank Stella Prints: A Retrospective details the artist’s remarkable career as a printmaker. It presents, as evidence, over 100 prints that make apparent how his highly experimental endeavors have redefined the traditional print. 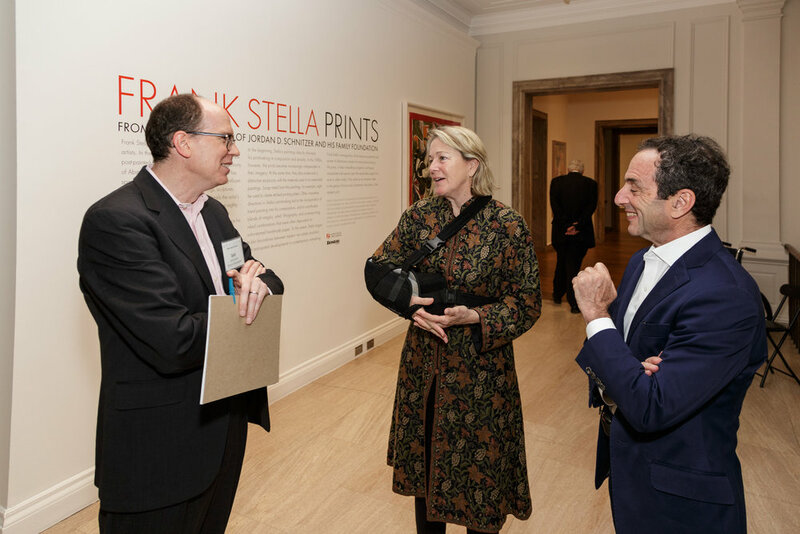 The exhibition also offers a clear view of Stella’s stylistic evolution—a series of reinventions from the minimalist geometric abstraction of the early years to the baroque exuberance of the later gestural work. 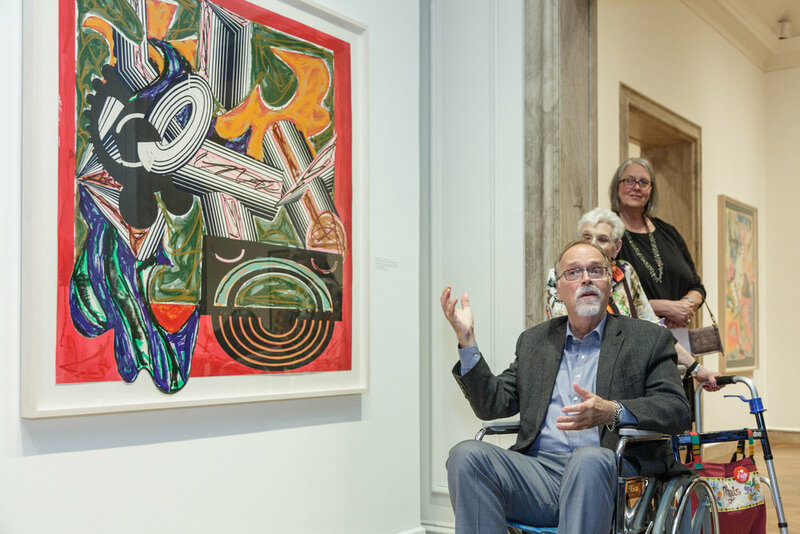 Frank Stella Prints: A Retrospective is the artist’s first major print retrospective since 1982. 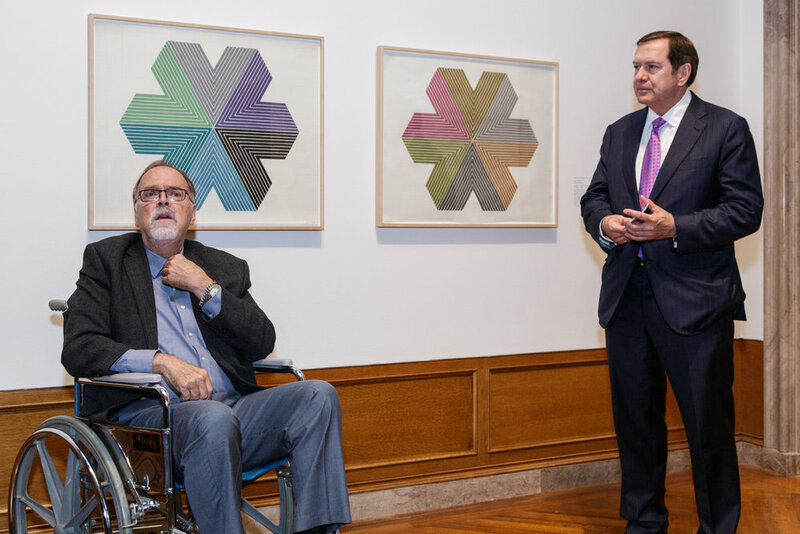 Frank Stella Prints: A Retrospective is organized by the Madison Museum of Contemporary Art and curated by Richard H. Axsom. 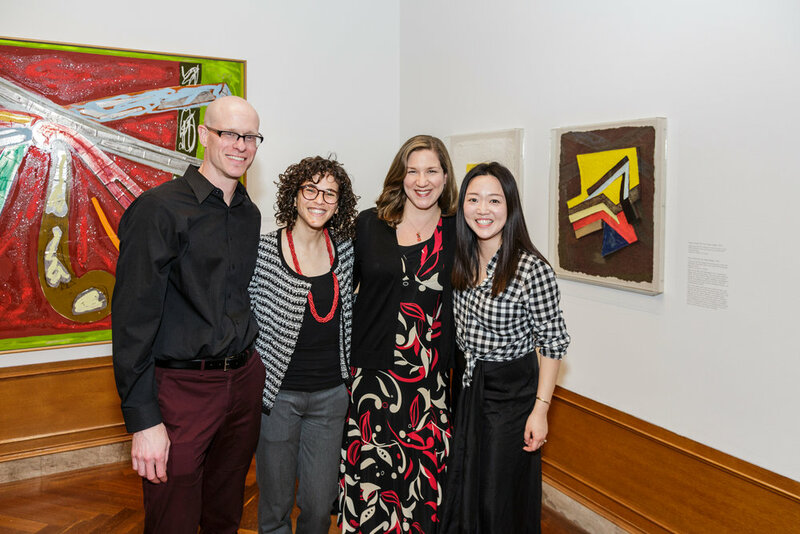 Support for the exhibition and related educational and outreach programs has been made possible by a grant from the Jordan Schnitzer Family Foundation. 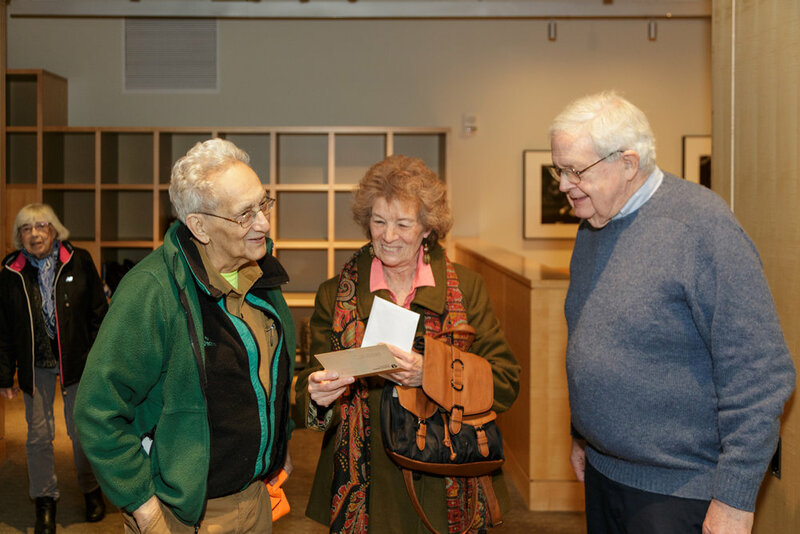 In conjunction with this exhibit, "Frank Stella Prints: A Catalogue Raisonné" was released by Artbook and D.A.P. 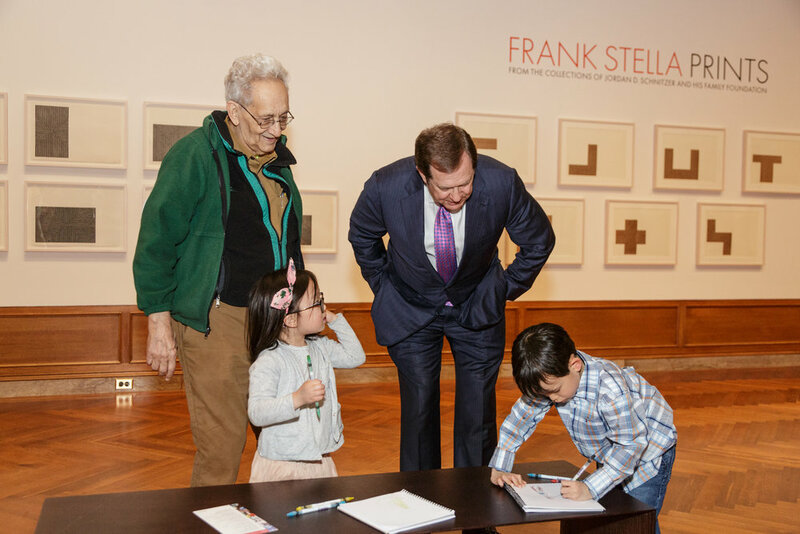 On Saturday, April 22, 2017, artist Frank Stella, collector Jordan D. Schnitzer, exhibition curator Richard H. Axsom, and master printmaker Kenneth Tyler shared their unique viewpoints on Stella's art and the exhibition 'Frank Stella Prints: From the Collections of Jordan D. Schnitzer and His Family Foundation.' 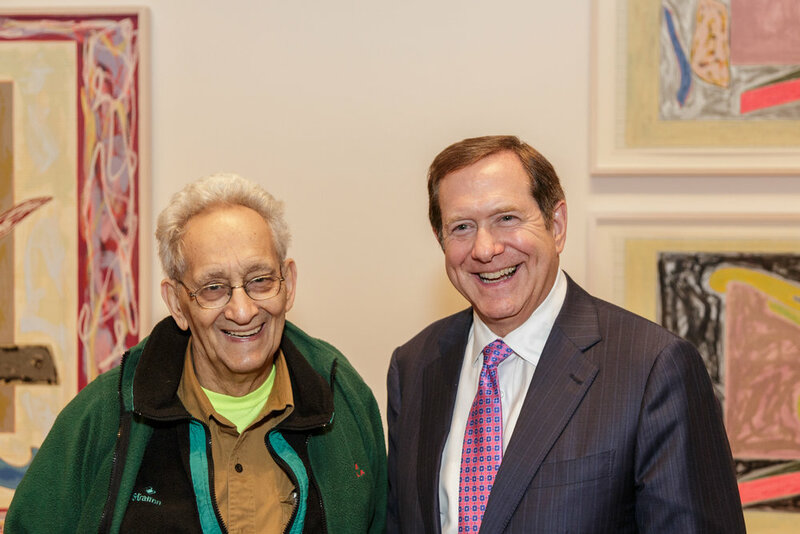 Addison Director Judith F.
Frank Stella '54 is the renowned artist he is today because of Phillips Academy. The access. The curriculum. The friendships (with fellow artists Carl Andre '53 and Hollis Frampton '54). Andover shaped the artist Stella would become. In this special episode of Every Quarter, hear the candid tales from his early years, stories of the New York art scene in the sixties and why he keeps coming back to where it all started. 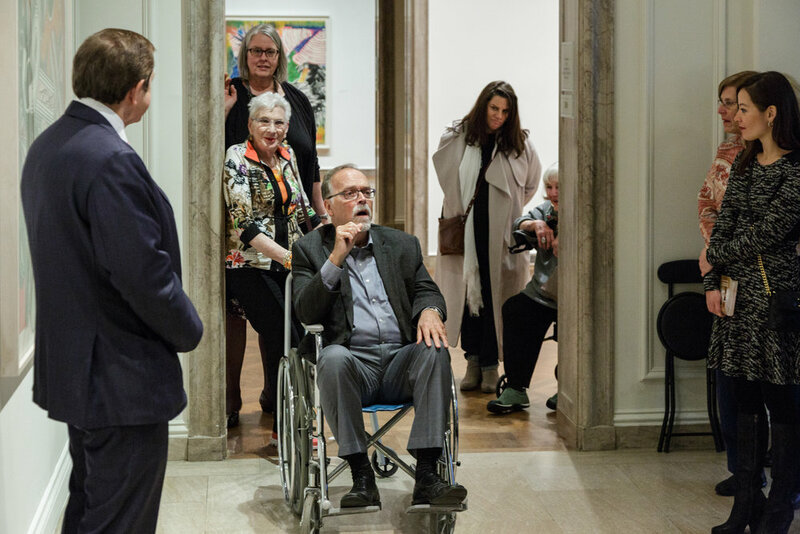 Throughout his prolific and influential career, Stella has been a major figure in the art world, internationally hailed as one of America’s most significant artists. In his paintings, metal reliefs, sculptures, and prints, he has explored abstraction, which emerged during the early twentieth century in the innovations of artists such as Vassily Kandinsky, Kazimir Malevich, Piet Mondrian, and Pablo Picasso. A pioneer of minimalism in the 1960s, Stella continues to experiment and innovate, creating some of the most daring work to be seen today. 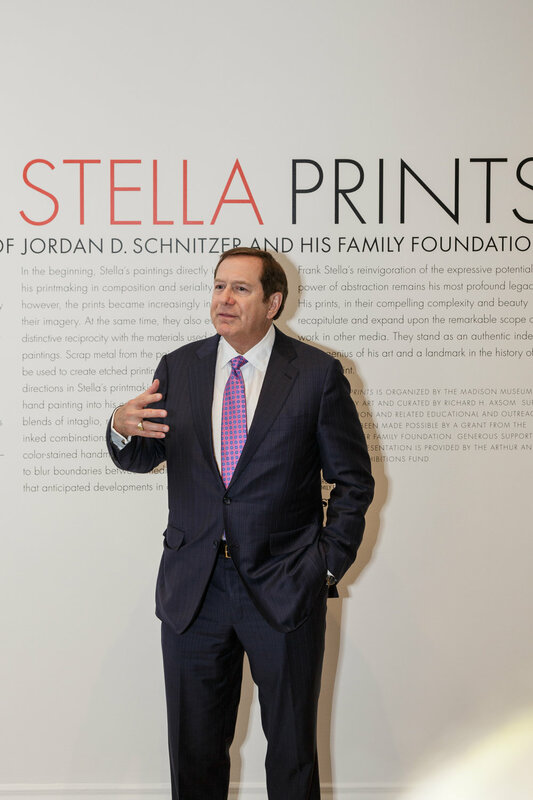 Friends of the Addison Preview Reception - Addison supporters are invited to preview the exhibition with collector Jordan D. Schnitzer before the public opening. Opening Reception - Celebrate the opening of the exhibition with the artist, collector, and Addison staff while enjoying a glass of wine and a bite to eat. 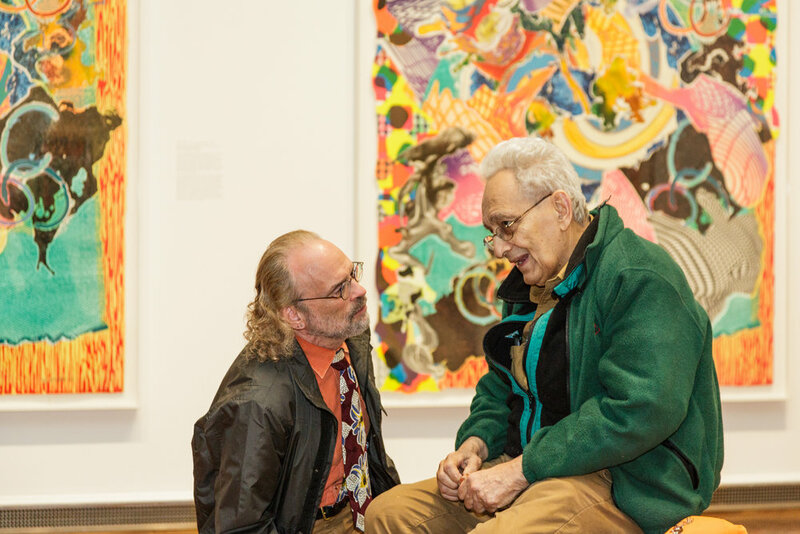 Panel Discussion - Artist Frank Stella, collector Jordan D. Schnitzer, exhibition curator Richard H. Axsom, and master printmaker Kenneth Tyler will share their unique viewpoints on the art and exhibition. Addison Director Judith F. Dolkart will moderate the discussion. The event will take place in Kemper Auditorium adjacent to the Addison. 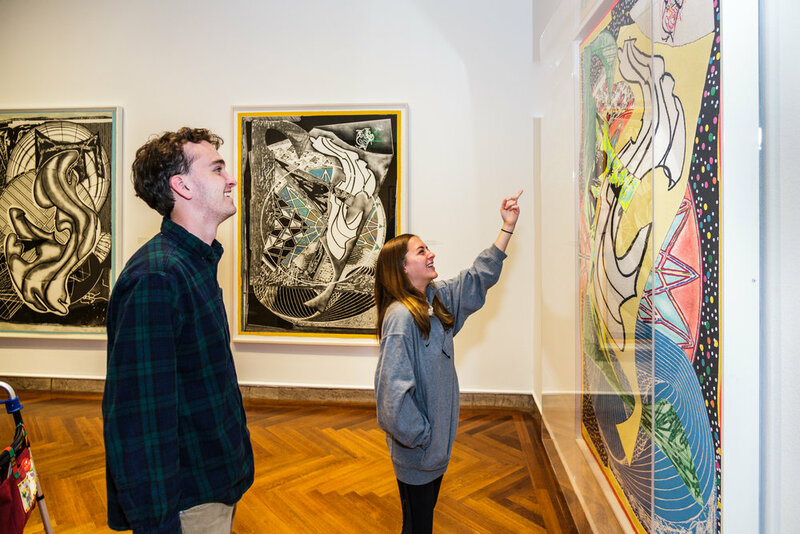 Evening Gallery Tour of Frank Stella Prints - Join Addison Director Judith F. Dolkart on the final late Wednesday of the season for a walk-through and discussion of Frank Stella Prints. This program has been organized with Andover's Memorial Hall Library. Experiment with colors, techniques, and materials inspired by the work of Frank Stella through art classes offered in collaboration with the Essex Art Center. Classes will meet at the Essex Art Center and will include a visit to the Addison Gallery.